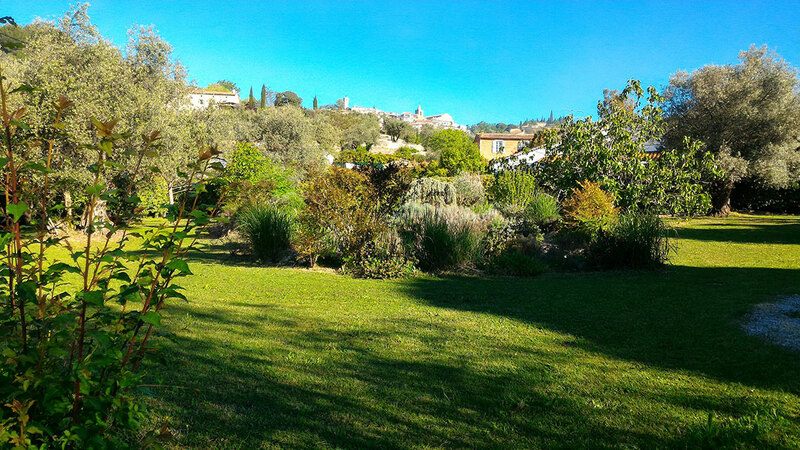 Near the village, but in the quiet countryside, enjoy the shade of linden trees, olive trees and fig trees. Besides, lavender, oleanders and santolines blend their colors and fragrances with rosebushes and other Mediterranean species. Meanwhile olive trees and almond trees combine their foliage with the branches of palm trees which offer their pleasant exoticism. Finaly, you will be able to see our koi carp in the ponds of the garden.